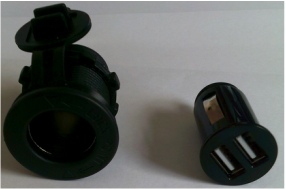 This fitting gives you the advantage of a 12 Volt plug socket and a removable Twin USB socket. Wired into its own fuse on your panel. As this socket is capable of drawing a large current we would advise a 16 Amp Fuse. This fitting unlike the one to the left is a fixed USB power source. Like the first oblong USB this will draw little power and will be wired into one of the fuses on your panel. The most neglected, unloved, ignored, misunderstood and important element in any panel is the fuse. You can stipulate any size fuse that you wish from the following : 5 Amp, 10 Amp, 15 Amp, 20 Amp, 25 Amp or 30 Amp. For safety's sake we will never fit a fuse larger than the maximum rating of the device being fed. So a 16 Amp switch will have a 15 Amp fuse - the largest fuse under the rating of the switch. If three 16 Amp switches are fitted to a single fuse it will still be a 16 Amp fuse. The fuse is there to protect the device and the wire feeding it, so if the device is over loaded or if the wiring is short circuited the fuse will blow and prevent a fire. 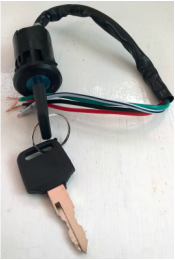 ​We use single gang fuses as it is simple to identify which fuse has blown if it is located next to the devices it protects and they can be better at controlling burn outs. You can stipulate as many or as few fuses as you like or need. starting at none! However please do remember the job that they do. When you are planning your panel, think about the power that each device under the control of a fuse will draw add them up and use that as your fuse / switch size. The fuse is there to support normal running and trap malfunctions. SO if you choose a 30 Amp switch and we supply a 30 Amp fuse to control a 3 Amp device - when you get a malfunction in the 3 Amp device the result will be a burn out - fire! This is because the manufacturer of a 3 Amp device will have used 5 Amp wire to feed that device. 20 Amps will burn out that wire - and you have a 30 Amp switch ( Which will burn out at 45 Amps) and a 30 Amp fuse ( which will blow at 37 Amps). We will build ( within our safety rules ) whatever you ask for, and we do not know the intended application of the panel you order from us. Please do ask for advice and we will do our best to advise you. This is our standard single action ignition switch. We typically use it to control one or more relays to energize engine functions and switches / gauges / devices that are only required when under way. 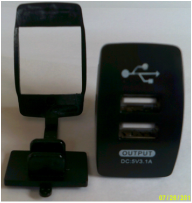 £ 18.00 direct control / one relay. £ 10.00 per relay after that. Two Wire Oil / Water Temperature Gauge sender unit. 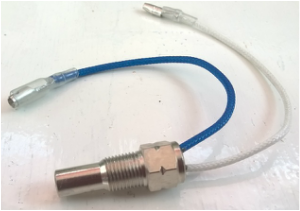 All of our temperature gauges are factory supplied with a single pole sender unit. This assumes that your engine has a good neutral return to the battery set powering your gauge. In many cases this is not true and a two wire sender unit is required.